in the North End of Boston, on December 21, 1734 and was the son of a French Huguenot immigrant named Appolos Rivoire and his first American wife Deborah, née Hichborn. 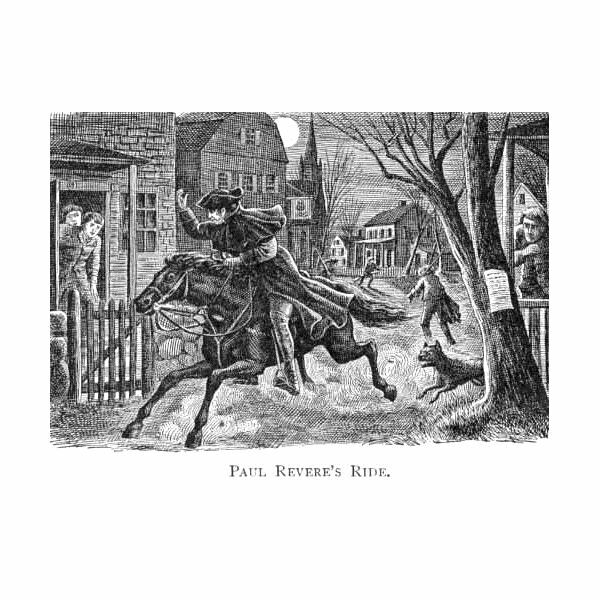 Mr. Rivoire had changed his named to Paul Revere soon after his immigration into the United States. He was a goldsmith by trade and Paul Revere Junior was the second of nine children in the household. Paul learned the craft of gold and silversmith from his father, and when he was nineteen years of age, his father died, leaving him as the main provider in the family silver shop. Historic detail that tells all about Paul Revere records that two years later, in 1756, he enlisted voluntarily to fight in the French and Indian War. He received a commission as a Second Lieutenant in the Colonial Artillery regiment and served in the battle at Crown Point, now New York. This was the early connection between Paul Revere and the Revolutionary War. After leaving the army, Paul returned to Boston and the family business where he took control over it under his own name. The “silver shop" was the mainstay of his professional life for over forty years. 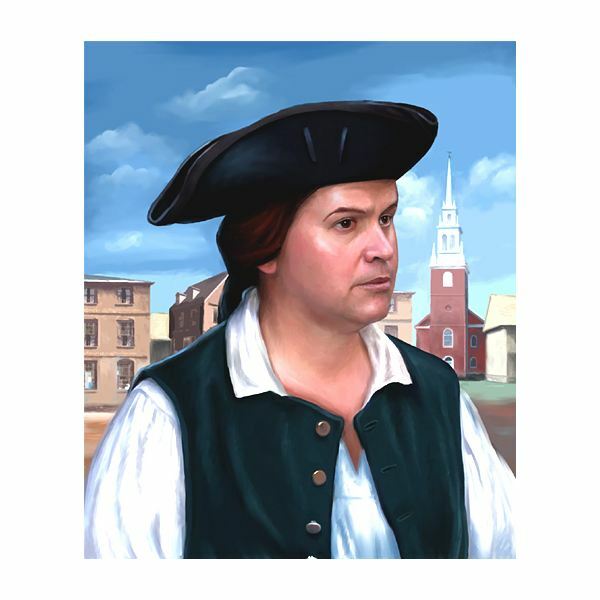 Before the historic episode involving Paul Revere and the Revolutionary War, he displayed innovative talents, which helped his business during various economic depressions. Needing to supplement his income, he started working with copper as a plate engraver and produced illustrations for books, magazines and business cards. However, that was not all Paul Revere did as an artisan. During the years 1768 to 1775, he advertised as a dentist, which included providing false teeth carved from Walrus Ivory. The involvement in politics for Paul Revere originated in his relationships with business patrons and members of various local organizations. He was a member of the Masonic Lodge of Saint Andrew and developed friendships with activists such as James Otis and Doctor Joseph Warren. During the year before the start of the War for Independence, Paul observed the movements of British soldiers and by this means was able to gather intelligence information. The British army, stationed in Boston following the closure of ports in the aftermath of the “Boston Tea Party," had been under constant surveillance by Revere and other Patriots. He then received instructions from Doctor Joseph Warren to ride with all haste to Lexington and warn John Hancock and Samuel Adams of the approach of the British forces. At seventy-six years of age, Paul Revere retired and handed over his well-established business to his sons. On May 10, 1818 Paul Revere, aged 83, died of natural causes. He was buried in the Granary Burying Ground, Boston.